A book coach instructs and supports aspiring authors. Unlike a book doctor (someone who fixes a problem, such as rewriting an ending that doesn’t work) and unlike a book editor (someone who gives feedback on a finished manuscript, which may involve macro-level changes or line-by-line polishing), a book coach will see you through the long-range, says Jennie Nash*, who has been in the business for four years and previously worked at Random House. A book coach will help you develop your idea, provide ongoing editorial feedback on your manuscript, guide you through the nuts and bolts of queries and proposals, and connect you with agents and editors when your work is ready. Book coaches also provide a fair amount of emotional support. “A book coach will deal much more with the habits of your writing and the doubts you have about what you’re doing,” Nash says. “You wouldn’t expect a book editor or book doctor to get on the phone and listen to you have an emotional meltdown.” But Nash has done that — and then encouraged writers through their crises of faith. A children’s book writing coach since 2000, Esther Hershenhorn likes to describe herself as a compilation of people: cheerleader, fan, teacher. “I assess and evaluate a manuscript and highlight what works and what needs to work better, but then I go a step further and show you how to do it,” she says. And she stresses that she’s not just investing in a single manuscript; she’s investing in the writer. “I care in a 1950s kind of way,” explains Hershenhorn. 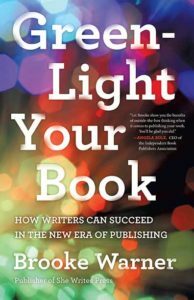 “Book coaches have been around for a long time, but they’ve reached a new level of popularity,” says Brooke Warner, a former executive editor at Seal Press who now coaches writers and attributes the demand for her services to changes in the publishing industry, including the self-publishing revolution. There was a time when an author’s agent and publishing house editor basically filled the role of a book coach. While that may still be true in some cases today, it can be difficult for first-time authors to even land an agent — let alone a book deal—until they already have a publish-ready manuscript. YOU CAN ALSO DOWNLOAD THE ARTICLE AS A PDF FILE HERE. Next PostPutting an End to Returns: Utopian Publishing Dream or Eventual Reality?